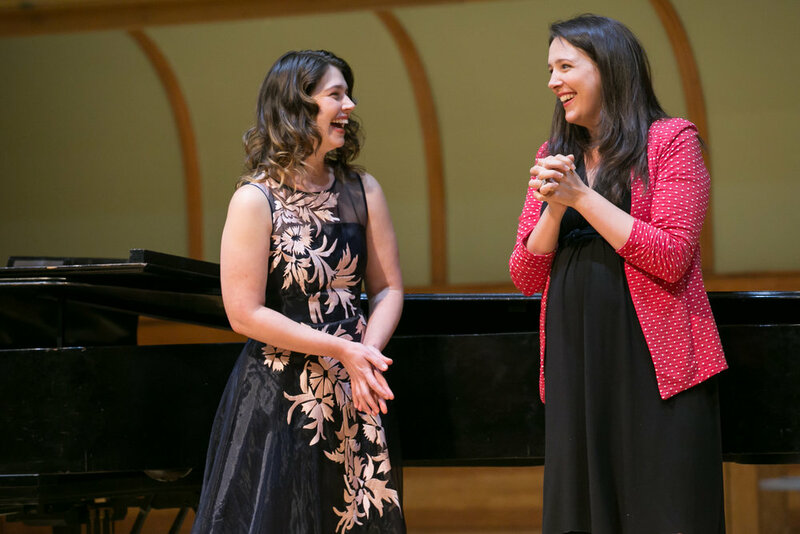 Recognized for her “authenticity” and “attention to text,” American soprano Samantha Farmilant appears regionally as a recitalist and on the opera, oratorio, and concert stages. Favorite roles include Queen of the Night in Mozart’s Die Zauberflöte, Fire in Ravel’s L’Enfant et les sortilèges, Zerlina in Mozart’s Don Giovanni, and Norina in Donizetti’s Don Pasquale. International credits include Suor Genovieffa in Puccini’s Suor Angelica (Viterbo, Italy) and Ascanio in Pergolesi’s Lo frate ‘nnamorato (Rome, Italy). In 2016, Samantha sang the world premiere of Gwyneth Walker’s Emily! at the National Association of Teachers of Singing Publishers Showcase in Chicago. Samantha performs regularly with baritone Daniel Grambow and with the Floating Opera Company. Most recently, she made her solo debut with the Tucson Symphony Orchestra and won a scholarship from the American Opera Society. Night at the Symphony features two angelic voices, acclaimed sopranos Samantha Farmilant and Nicole Greenidge Joseph in Mozart selections , and acclaimed violinist, Asi Matathias, as soloist in the beloved Tchaikovsky Violin Concerto with its lush harmonies and delicious melodies. More information is available here. "Ms. Farmilant possesses a unique warmth in her voice and moreover a natural musical approach to everything she sings...combines a fine technique with deep knowledge of the meaning of text and transmits emotion with ease and honesty." Sign up with your email address to receive news about future performances and projects.